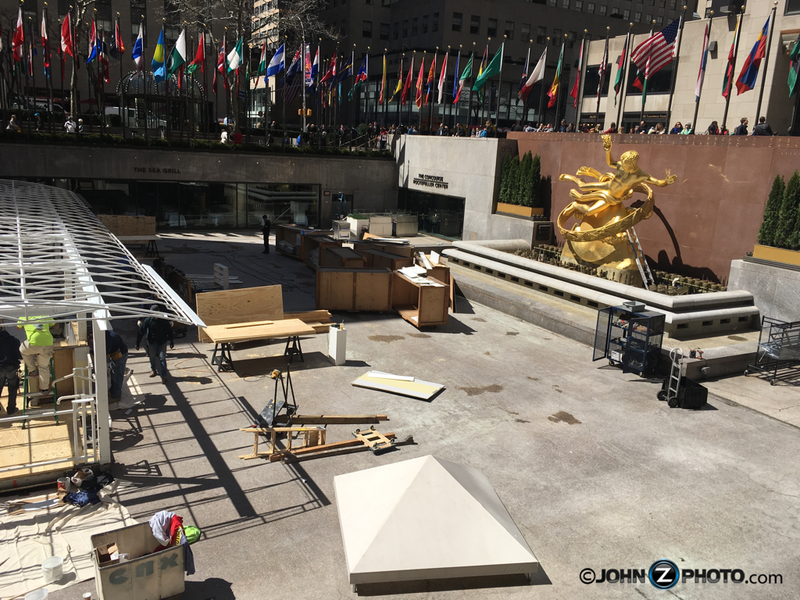 If you’re walking through Rockafeller Center Plaza in New York City in the next few months you will likely see the latest art installation by Elmgreen & Dragset. It’s a giant swimming pool! On display from April 13 to June 3rd at the 5th Avenue entrance to Rockefeller Center across from Saks 5th Avenue. The art installation is part of the New York City Public art fund which was conceived and installed by the artists specifically for this site. But where does the ear come in? The artist have titled the project “Van Gogh’s Ear.” The art features the concept of contrasting ordinary objects uprooted into ordinary places. 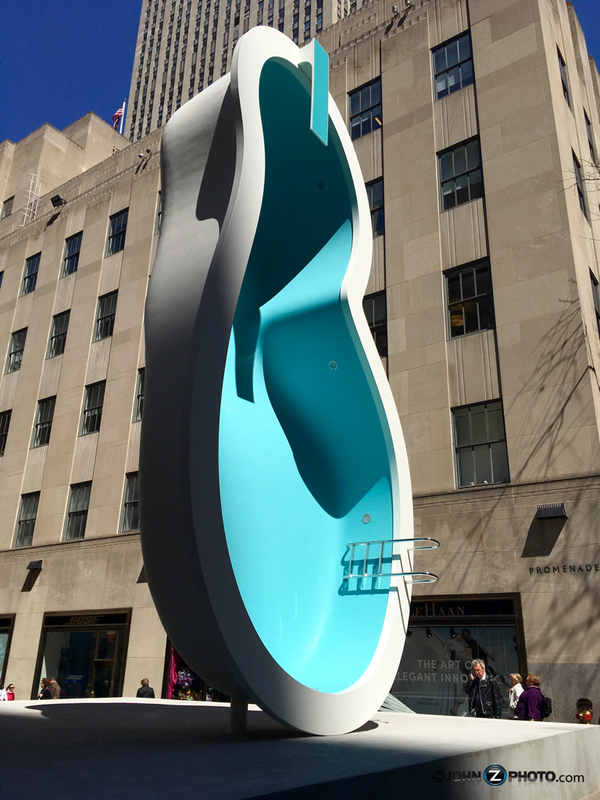 A 30 foot upright pool surrounded by the crowds and hustle and bustle of New York City, I’d say that’s quite a contrast. Even though it looks like an off the shelf swimming pool it’s actually a handmade custom sculpture of a traditional swimming pool flipped on it’s side. The sculpture stands 30 feet high supported by a giant concrete base. The artists other works include a rocking horse in London’s Trafalgar Square; the Prada Marfa store/sculpture in Marfa, Texas; and a NYC subway station in the basement of the Bohen Foundation. 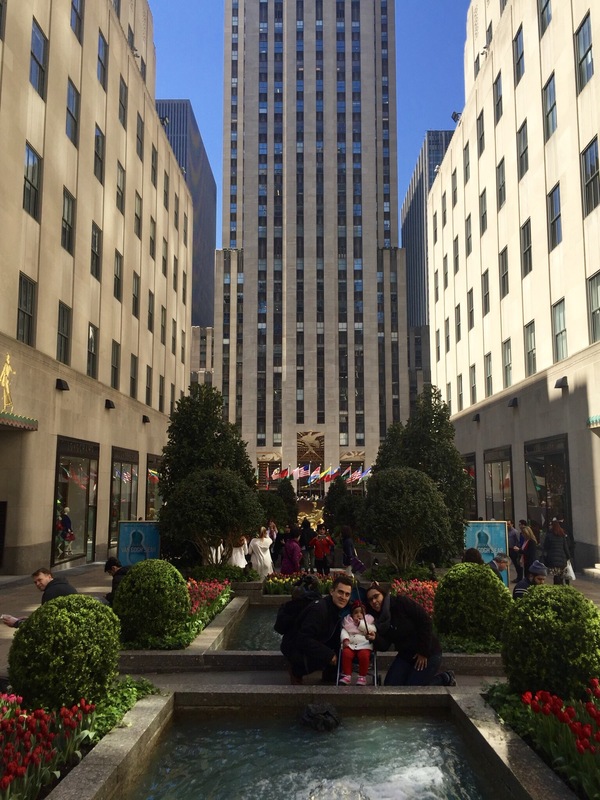 So if you find yourself in Midtown Manhattan or are planning to visit New York City anytime soon, take a walk over to Rockefeller Plaza and check out the 30th foot “Ear” before June 3rd. 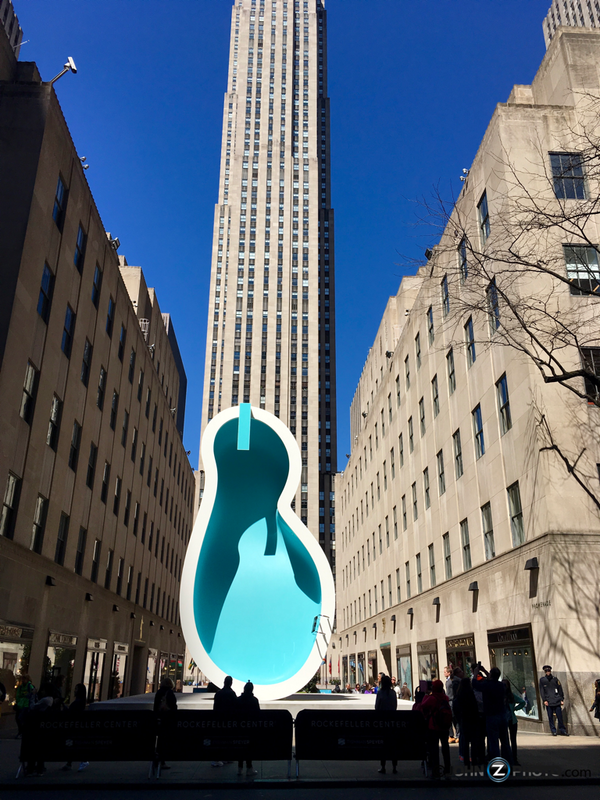 This entry was posted in America, Art, New York, Photography, Uncategorized and tagged Art, Historic Landmark, History, John D. Rockefeller, Modern Art, New York City, New York City History, Pool, sculpture. Bookmark the permalink.